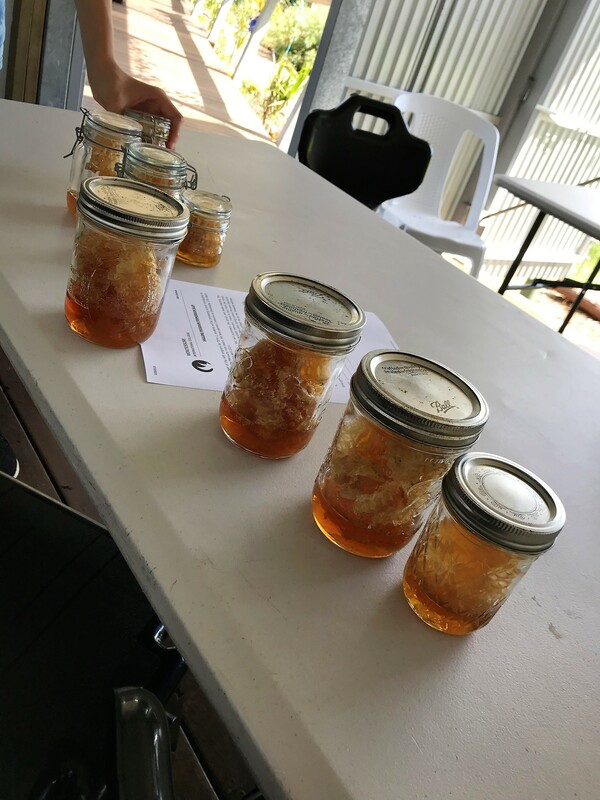 Did you know that one bee will only make 1/12 of a teaspoon of honey in it’s entire life? And a bee must fly the equivalent of three orbits around the world and visit more than 4 million flowers to gather one kilogram of honey? 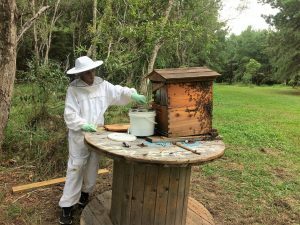 While we are talking interesting facts, did you also know that bees pollinate 70 of the 100 crop species that feed 90% of the world? Honey bees are so critical for our crops that if the world lost its bees, not only would we lose the plants that bees pollinate, we’d also lose the animals that eat those plants and so on up the food chain. In fact, a world without bees would struggle to sustain our global human population of over 7 billion. But we are doing our bit at MIC! 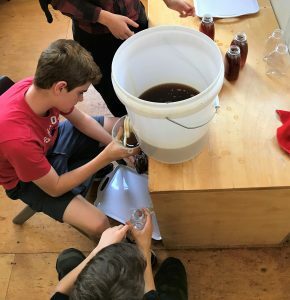 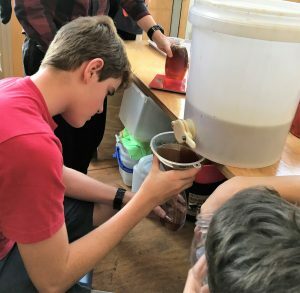 Our bee micro-economy is in full swing with students in our Adolescent Community busy harvesting and decanting honey ready for sale at the first Market Day this Friday. 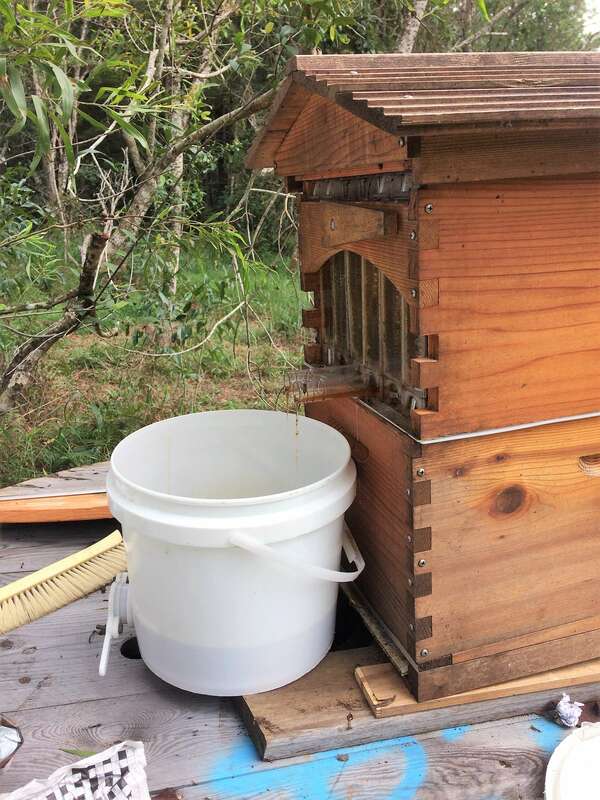 Land Manager Andrew Maitland said we are lucky enough to have been given a new ‘Flow Hive’ recently bringing our total number of hives to six – two Langstroth bee hives, three native bee hives and one Flow Hive. 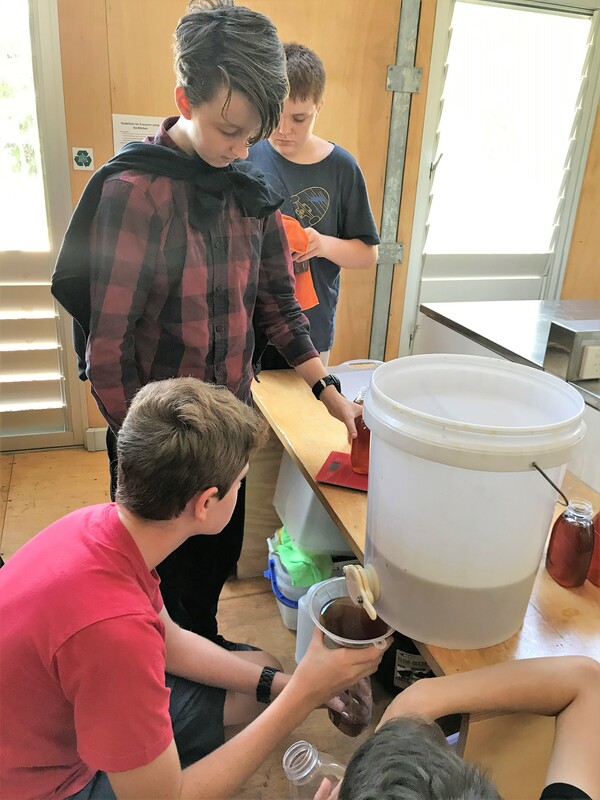 “Students in the bee crew – usually in pairs – go into the hives to rob honey around once a month,” said Andrew. 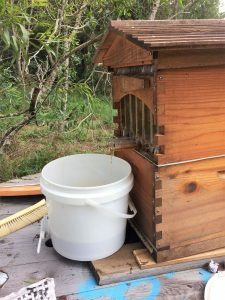 “They also look for the Queen, check for small hive beetles – which are pests – and generally check the health of the hive. 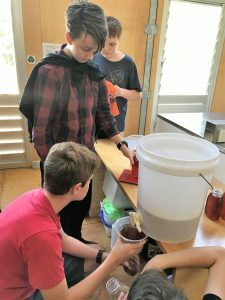 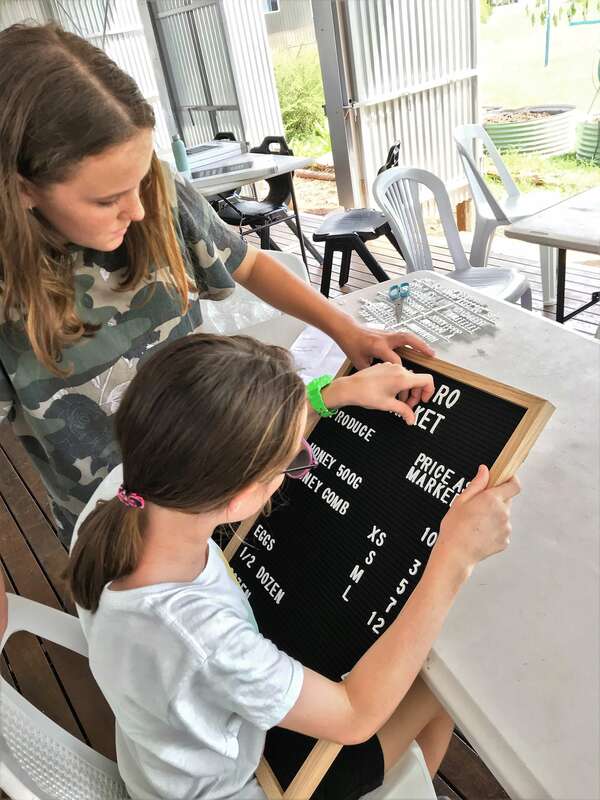 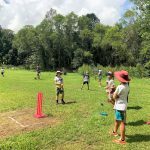 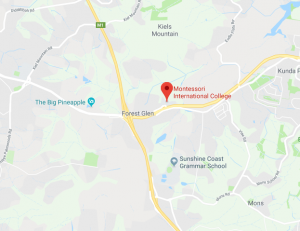 “We have students who enjoy working with the bees, and others who work on the marketing of the honey or the account keeping of all honey sales – and some students will be filming all aspects of the bee micro-economy. 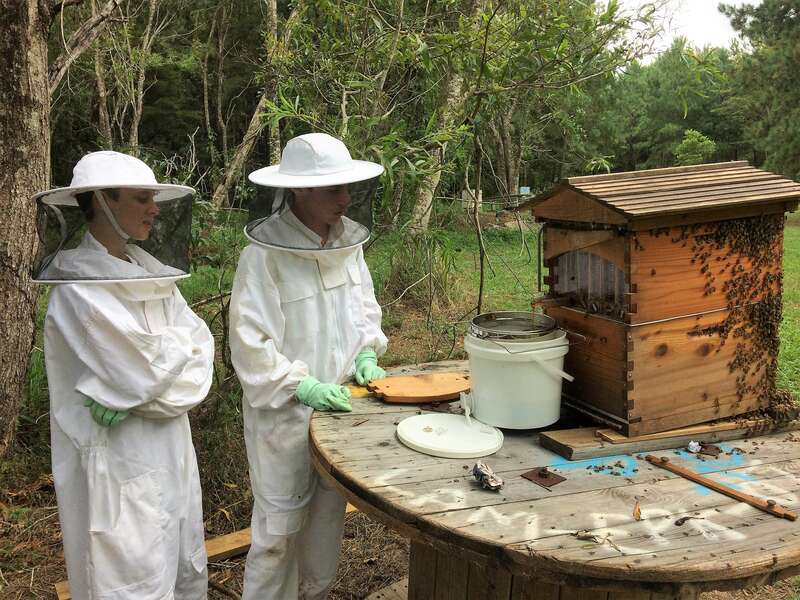 Fantastic work Andrew and the bee crew! 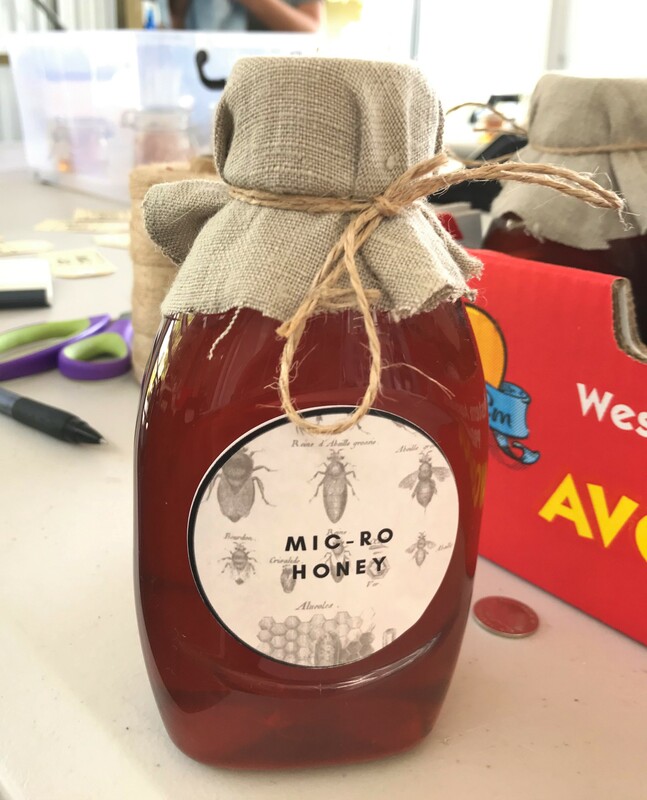 We look forward to enjoying the fruits of your – and the bees’ – labour soon!